I know. I know. “It’s vacation.” All rules are out the window right? Food is such an integral part of experiencing a different place and culture, and vacations often present unique opportunities to indulge in rich and luxurious meals. However, overindulging consistently while away may lead to lowered energy, mood swings, and weight gain that will take significant effort to counteract upon re-entry into “real life.” When traveling with kids, all parents know that tampering with energy levels and moods could send any vacation downhill fast. 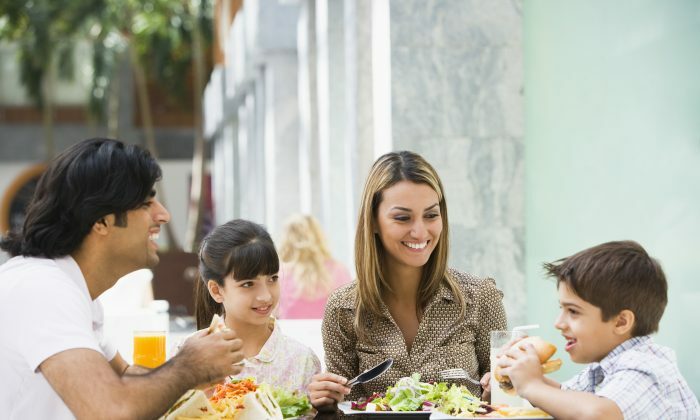 To minimize the negative effects while still taking in the culinary delights of your destination, here are some tips to help you eat well on your next family vacation. You don’t have to give up the joys of experiencing the local food. If you’re heading to Italy you must sample the gelato and pasta. If you’re going to France, you cannot miss visiting local patisseries. Discovering the cuisine your destination is known for is an experience in itself, teaching you and your family about customs, culture, and food. You do not want to miss out on these experiences, but you can plan your nutrition and exercise around them to minimize their impact. Scatter your reservations, if possible, as opposed to overindulging all at once. Balance out heavy meals with light ones. Increase exercise on days with big meals. If possible, when choosing accommodations, find a space with a kitchen where you can prepare some of your own meals. At the very least ensure you have a refrigerator where you can store your own healthy snacks and lots of water. Bring your groceries or arrange for their delivery upon your arrival. You’ll find yourself more in control of the food you and your family eats while away. Carry snacks wherever you go. As you go about your vacation’s adventures, hunger will strike. Rather than filling up with large sit-down meals at every turn, snacks can often help to carry you through. Fruit, nuts, water, or nutrition bars can be easy to carry and just light enough to justify the next culinary indulgence. When out to eat, consider healthy choices. Don’t always let the sentiment, “Hey, I’m on vacation!” lead to unhealthy choices. Choose water as a beverage. Substitute vegetables for starches. Pass on the bread. If you’re at a quality restaurant, your meal will be delicious. When it is time to indulge, watch your portion size. Just because that boardwalk stand is known worldwide for their amazing french fries, doesn’t mean you need the extra large bucket. Order a small size and savor each bite. You’ll fill up faster than you think and will have enjoyed the experience without it ending in discomfort or regret. When you do return home, plan a week or two of light, clean meals for you and your family. Fight off sugar cravings that may surface and get back into your exercise routine. This will ensure the souvenirs you bring home are happy memories and not extra pounds or unhealthy habits.